"When diagnosed with ALS in 2010, I already knew the challenges. My best friend was diagnosed with the same disease in 2006. Fortunately, he's a fighter and a terrific role model. He made me understand that people truly want to help us face the challenge, but struggle with how. That's why I believe the ALS Association's Walk to Defeat ALS is the perfect avenue to channel the love and energies of family, friends and colleagues who are determined to help us find a cure. The Walk is once a year. It's fun. It's simple. And it doesn't matter if you have a team of 1 or 100. Each and every walker brings us one step closer to a cure. I hope you'll join us." “Our family walks so that ALL PALS and their families have access to a wonderful support group, to an equipment loan pool where they can obtain walkers, wheelchairs, and supplies, and to fight this disease on behalf of our husband and father, Michael Gagner who passed away in November 2013 from this dreaded disease." 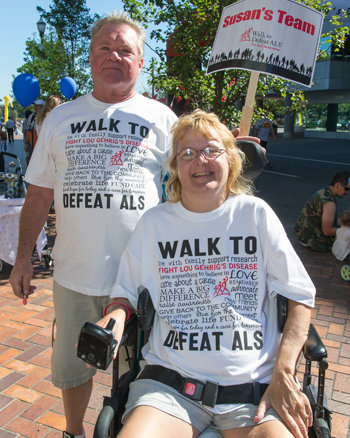 "I've participated in the Walk to Defeat ALS for 6 years, with all my family and friends. Without this organization, Lonnie and I would be lost. Everyone that has a part of this, you are amazing. We all hope for a cure some day, and this Walk makes it closer for all of us to have hope." "We walk because our Family has lost 7 members to ALS. We have the SOD1 gene in our family. Research and Advocacy are important to us because we are the next generation to be affected (23 grandchildren)." ALS is a disease for which we hope to continue to fund research to find a cure. Everyone always thinks it will not ever come their way! We owe those with ALS a chance to have an improved life." 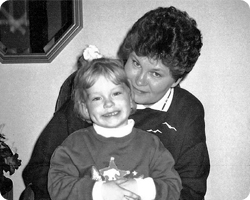 "The only time I came close to un-masking my grief and coming to grips with my grandmother's death, was The ALS Association Walk to Defeat ALS in Omaha Nebraska. I raised $1,300 in one week, thanks to support from my dad's coworkers, and felt pretty darn good about myself. Raising money for The ALS Association not only helps further research, but also helps those who are already dealing with the effects that this disease has inflicted. None of your dollars, nor cents, will be going anywhere but to benefit the cause." "We walk in memory of our son Eric, who died of ALS at age 28 after a 9 year battle with the disease. 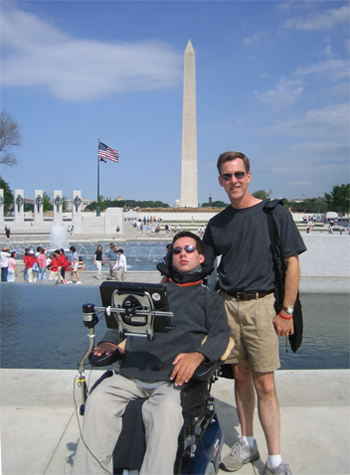 As an intelligent and very young PALS, Eric understood that he was a powerful Advocate for all suffering with ALS, and could command the attention of our legislators in Washington DC. He made the annual pilgrimage to the ALS Public Policy conference every May from 2005 until 2009, when his failing health prohibited him from making the 14 hour drive to DC. He enjoyed meeting his legislators and asking for their support for bills that are important for all PALS, and appropriations for funding ALS research. But more than that, he loved attending a gathering of hundreds of other people with ALS and their family members, all united in their quest to help find a cure and rid the world of ALS. "With Eric now gone, his friends and family continue to support the Walk to Defeat ALS every year, which is our Alabama Chapter's largest single source of funds, so that we may honor Eric's memory and his tireless dedication to helping create awareness of ALS on Capitol Hill. 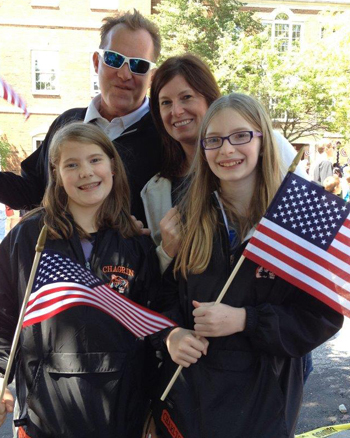 We walk for our hero, Eric, whose life was shortened by ALS. We walk so other lives are not."